Enjoy the food, the landscape and the water with our ideas for holidays in Troon. Holidays in Troon have a diverse range of things to do from eating wonderful food, playing golf in spectacular settings, sailing along the stunning coastline and enjoying local history. Discover them all in our 6 things to do on your hotel holiday in Ayrshire. There’s lots to discover here, including Burns Cottage, which is the birthplace of Robert Burns that was built in 1757 by his father. It has been restored to appear as it would have done in the 1700’s with a sparsely furnished interior. The simplicity of the cottage gives you an understanding of the scale of the poet’s achievements that he rose from such humble beginnings. Then there’s the Robert Burns Birthplace Museum, which has a complete range of Burns relics, including his original manuscripts and personal items. You can take a guided tour of the museum at weekends and there is a cafe and gift shop. Discover exciting art work a from established and emerging artists in a range of regularly changing exhibitions You can also add to your collection as there are original paintings and jewellery for sale that are handcrafted by talented Scottish artists. There are Oil, Acrylic, Watercolour and etching prints available. With its dramatic turrets and battlements and 600-acre estate, Culzean Castle is surrounded by the sea, lush forests and secret gardens. 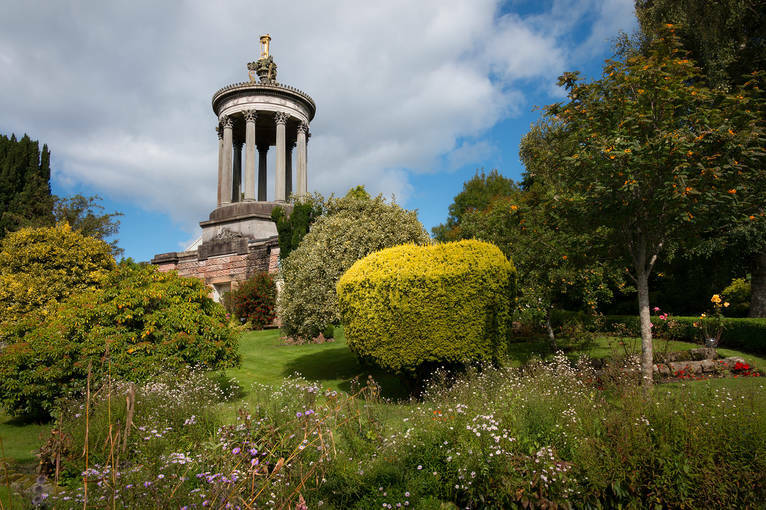 Whether you’re a keen walker, enjoy strolling through beautiful gardens and admiring architecture, or just enjoy soaking up some history, it’s a great day out. From its cliff top location it gives wonderful views over the Firth of Clyde and was converted by famous architect, Robert Adam, between 1777 and 1792. A a guided tour will reveal the castle’s best features of the castle, such as Adam’s masterpiece oval staircase, and the fine collection of paintings and furniture. 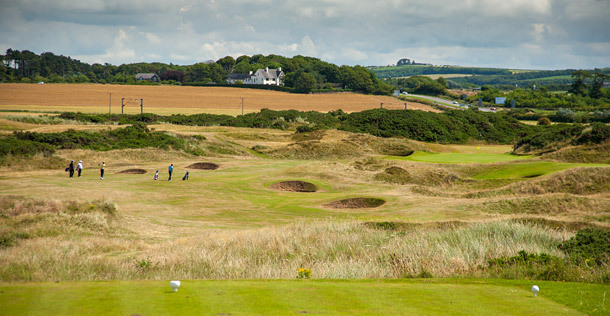 Ayrshire is the destination for golfers. As well as the world famous Royal Troon course there are another 39 lovely courses to choose from – all in spectacular settings and many of them the host to international championships. A local community inspired development, this is Scotland’s only designated craft town, which showcases the best of Scottish and British craft and design talent. With beautiful views over the the isle of Arran it also features the award-winning Barony Centre. In this stunning converted former church you can enjoy regularly changing exhibitions, browse through the range of lovely craft objects and take part in creative activities. You can also stroll through the picturesque town and meet the crafters in their studios. Just opened in 2013, the Two Fat Ladies Restaurant at the Marine Hotel, Troon, is a foodies’ delight that is not to be missed.The history, location and grandeur of The Marine Hotel, with its views over the Royal Troon Golf Course to the sea, is the perfect location for a seafood restaurant. The modern menu is focused on local and seasonal ingredients with all seafood supplied by The Scottish Fishmonger, which sustainably sourced fish that it buys fresh every day. What’s your favourite thing to do on a holiday in Troon? PreviousPrevious post: 5 Famous People that have stayed at The Angel Hotel and Why You Should Too!